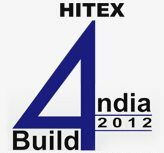 HITEX Build 4 India is an Exhibition management servicing organization. HITEX have a world class Exhibition facility in Hyderabad. HITEX Exhibition Centre has been the platform for the local industry to ‘CONVERGE AND CONNECT’ with their global counterparts. The team of 250 people are managing the Exhibition Centre in such a way that they achieved Turnover of 80-100 cr.